This is a sponsored post in collaboration with “Clangers”and Coolabi. All opinions are my own. 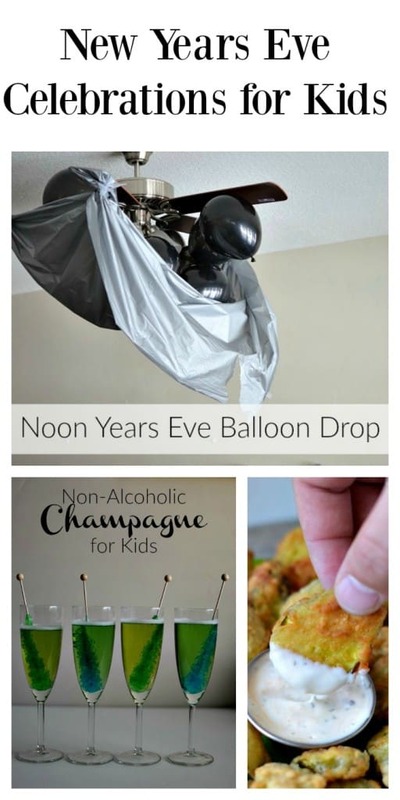 Fun and easy New Years Eve celebrations for toddlers. 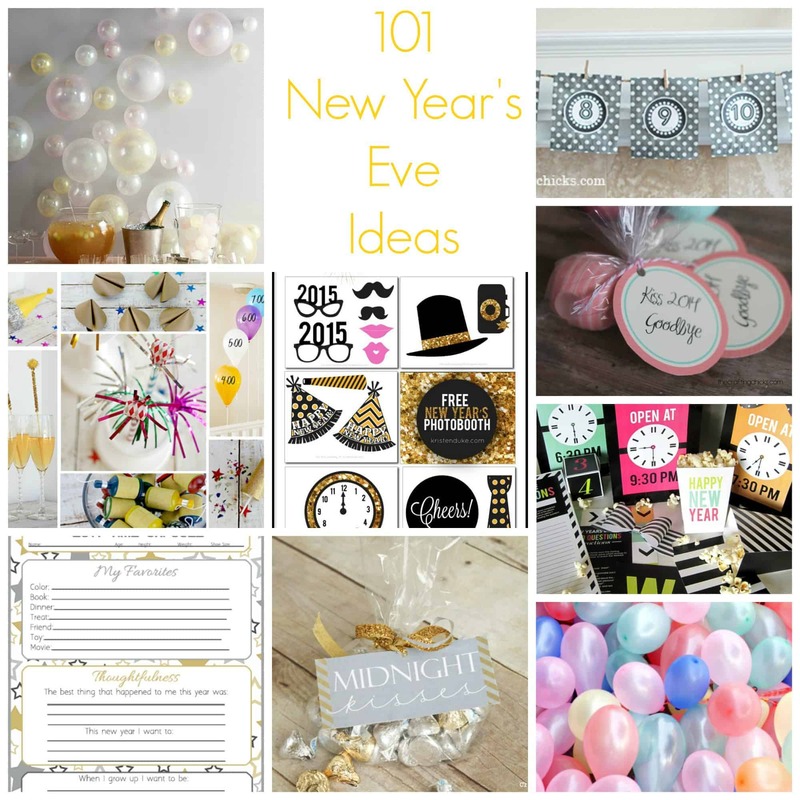 Tomorrow is the last day of 2015 so I thought it was about time I shared our New Years Eve family traditions. I was planning on posting about this a few weeks ago but you know Christmas and family and yeah I just didn’t get around to writing this one yet. But I know how hard it can be planning things to do to ring in the New Year with little ones so let me share the fun (and easy) ways we ring in the New Year. 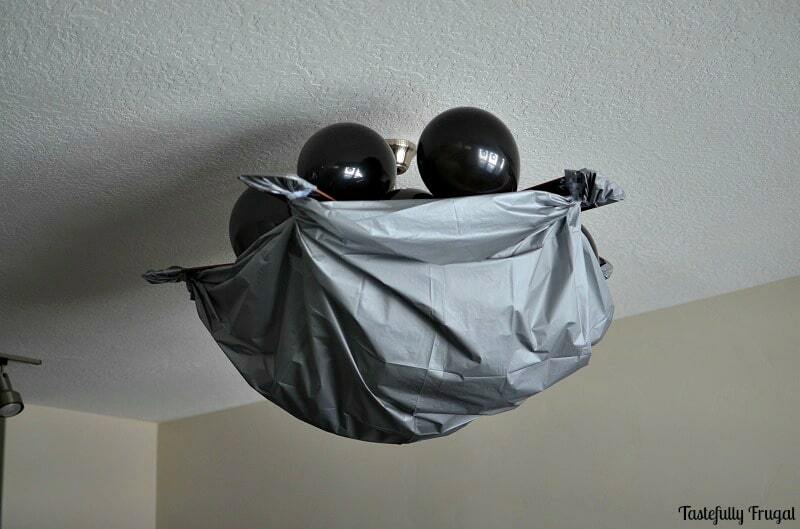 Tape the tablecloth on the ceiling, or a ceiling fan. 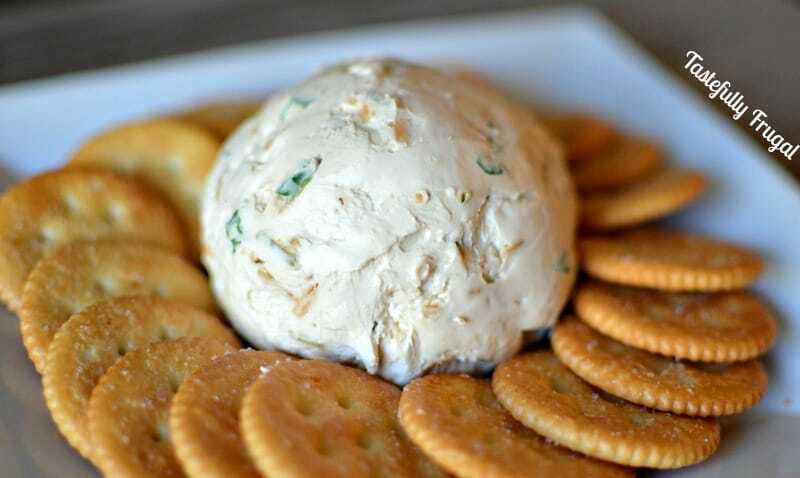 Attach a string underneath one of the pieces of tape. Put all the balloons inside the tablecloth. Countdown from 10 to 1 and at 1 pull the string and watch the balloons fall. 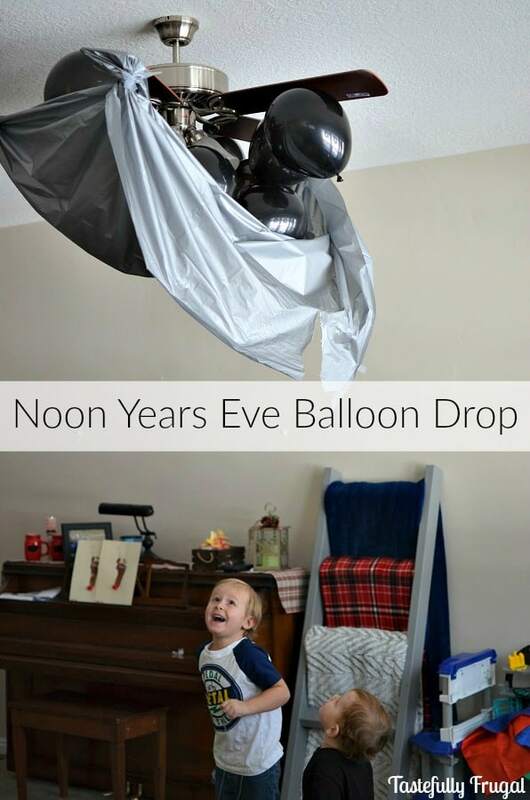 This is such a fun way to celebrate with your kids’ friends before the actual ball drop, when the little ones (and possibly mom and dad too) are fast asleep. When we have our friends over we also like to have a few treats and and watch one of our favorite shows, The Clangers. We first found this show this summer and I love how the little family of Clangers teaches healthy life habits, like acceptance and generosity, through their actions and not just their words. 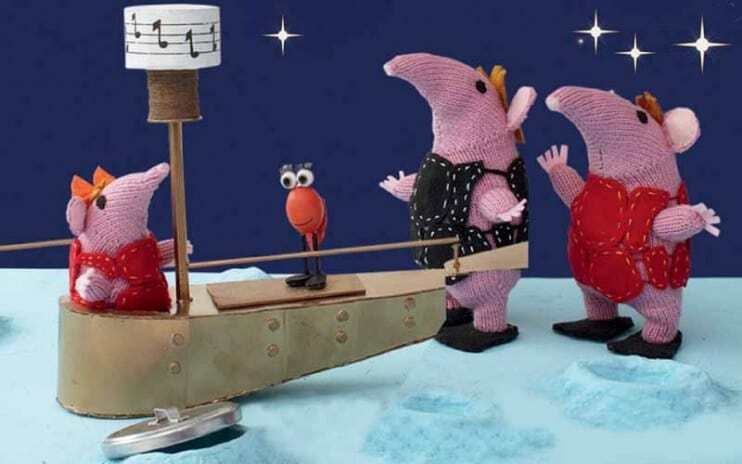 You can find Clangers on Facebook and get all the latest updates on new shows and events. 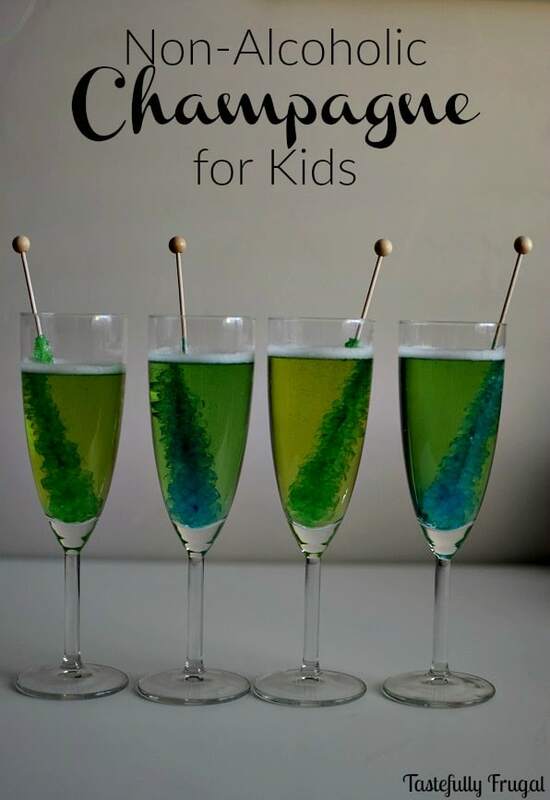 Some of our favorite treats to ring in the new year are “Kid Champagne” which is just sparkling cider with a rock candy stirrer, cheese balls and fried pickles. 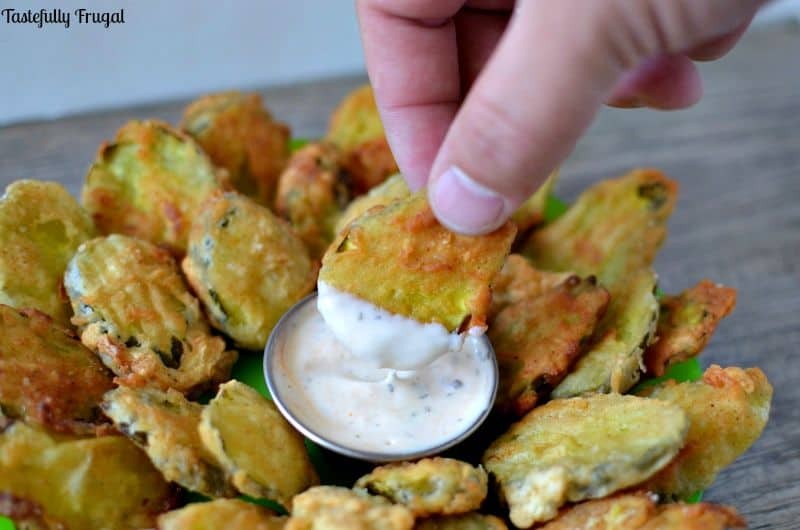 I know the combination sounds gross together but as long as you aren’t eating them all in one bite the combination isn’t too bad. I almost always buy way more food and drink than what we need so after our friends leave we take around the extra bottles of sparkling cider to a few of our elderly neighbors and wish them a Happy New Years as well. After that it’s time for naps, dinner and then a family movie or two before bed time for the kiddos. 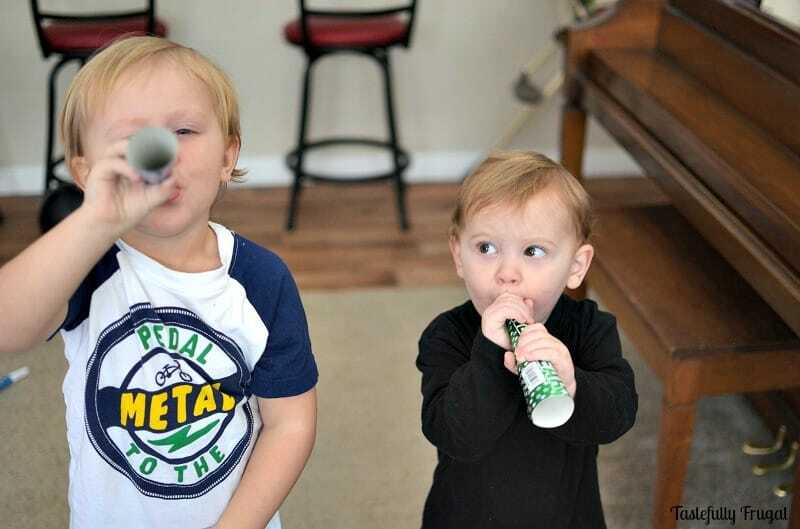 My husband and I stay up a little longer and will watch a movie or two but usually fall asleep on the couch only to be woken up by fireworks or banging pots and pans (whoever thought that was a great way to ring in the new year must have never had young children 😉 ). 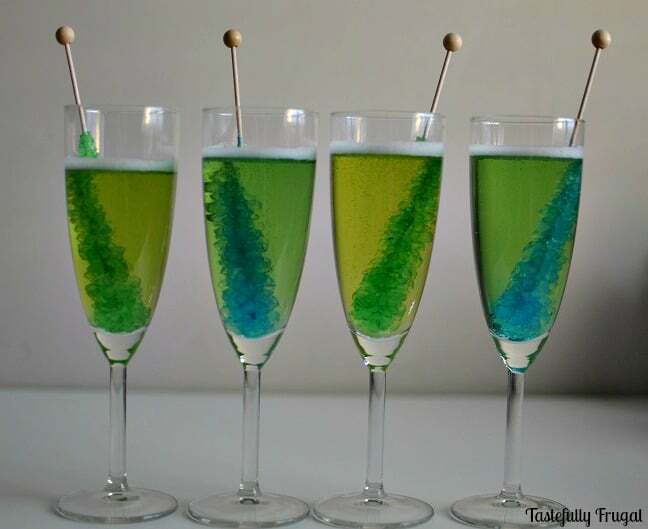 What are some of your traditions to celebrate New Years? Do you have a favorite way to give back to your community during the holidays?